Every college and university has a story, and no one tells those stories like former New York Times education editor Edward B. Fiske. That’s why, for more than 30 years, the Fiske Guide to Colleges has been the leading guide to 320+ four-year schools, including quotes from real students and information you won’t find on colleges’ websites. Fully updated and expanded every year, Fiske is the most authoritative source of information for college-bound students and their parents. 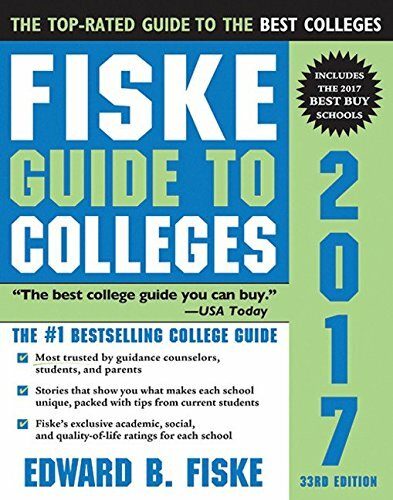 Helpful, honest, and straightforward, the Fiske Guide to Colleges delivers an insider’s look at what it’s really like to be a student at the “best and most interesting” schools in the United States, plus Canada, Great Britain, and Ireland―so you can find the best fits for you.